What is Expansions, the gifted program at MoMath? Featuring programs for mathematically gifted students enrolled in 1st through 12th grades, the Expansions workshops are designed and delivered by MoMath’s educational team to illuminate the wonders of mathematics, challenge and inspire students, and broaden their mathematical horizons. With topics ranging from fractals to cellular automata, these afternoon classes provide an opportunity for participants to learn advanced and fascinating topics not included in the standard K-12 curriculum. Plus, your child can benefit from enjoying math together with small groups of talented and focused young scholars. MoMath is currently accepting applications for limited spots in the Spring 2019 semester. Click here to start your application. Expansions offers the following weekly sessions, which are differentiated by mathematical experience, rather than by age or grade. Grade levels shown parenthetically provide rough guidelines, and final placement is based on demonstrated student ability. Tetrahedron: For those who are comfortable with addition and subtraction (approx. grades 1-2) — Tuesdays, 4:15 pm to 5:00 pm. Hexahedron: For those who have conquered multiplication and division (approx. grades 3-4) — Thursdays, 4:00 pm to 4:45 pm. Octahedron: For those who know the facts about fractions (approx. grades 5-6) — Tuesdays, 4:00 pm to 4:45 pm. Dodecahedron: For those with functional knowledge of functions (approx. grades 7-8) — Thursdays, 4:15 pm to 5:00 pm. Icosahedron: For those who routinely find the roots of polynomials (approx. grades 9-12) — Currently not running due to low enrollment. 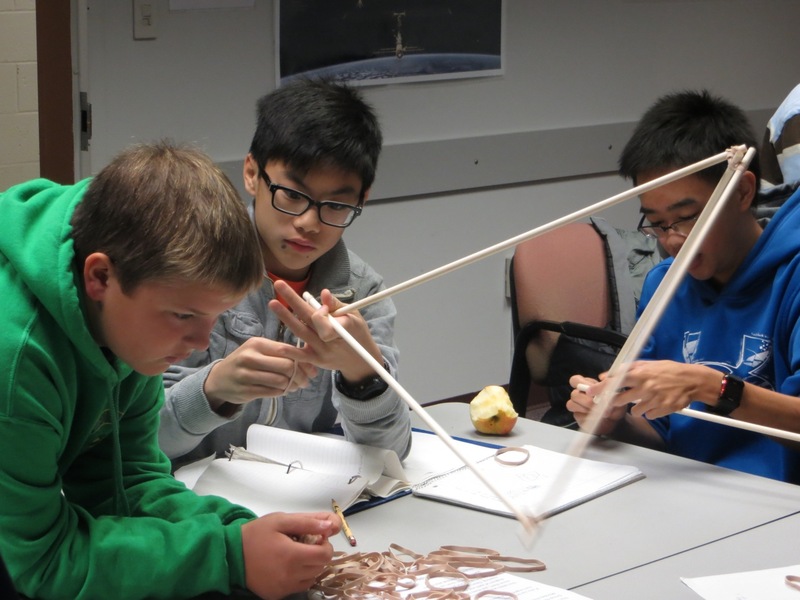 If you are interested in the Icosahedron sessions, please email expansions@momath.org. Once accepted into the program, students may register for their assigned class series and must register in advance. MoMath’s Expansions program offers a small class size approach, hands-on lessons, and a long-term, cohort model that builds dynamic groups of students who learn effectively together and return year after year. New students are welcome at all levels provided there is availability or sufficient interest to form a new cohort. Applications are considered on a rolling basis as spots become available. To apply, please fill out this online form and follow the instructions provided upon submitting the form. Classes run weekly starting on September 18, 2018 through May 28, 2019. No classes will run on the following Tuesdays: 11/6, 12/25, 1/1, 2/5, 2/19, and 4/23. No classes will run on the following Thursdays: 11/22, 12/27, 1/3, 2/21, and 4/25. Classes will be held on all other dates throughout the year. No refunds will be given for absences due to any reason. Participation in the 2018-2019 academic year will require full semester enrollment. The first semester of 2018-2019 runs from September 18, 2018 through January 24, 2019. The second semester of 2018-2019 runs from January 29, 2019 through May 28, 2019. Registration fees are $850 per semester ($680 per semester for current members with Family Memberships or above). MoMath does not prorate fees for mid-term registrations, and refunds will not be given for absences or for any other reasons. Museum admission is not included in the registration. Need-based scholarships are available. Scholarship applicants must meet the income guidelines of the federal Free and Reduced Lunch program and provide verification of household income. Scholarship applicants should complete the regular application form online and send a separate email to scholarships@momath.org with a request for scholarship application instructions. Please allow at least two weeks for the scholarship committee’s review process. MoMath will make every effort to run classes as scheduled, but occasionally severe inclement weather or other unusual circumstances beyond MoMath’s control may require that a class be cancelled. If such a cancellation occurs, MoMath may, at its sole discretion, offer make-up sessions. Note that grade-level sessions will run only if a minimum number of participants is reached before the start date of the full session. In the rare event that a grade-level series is cancelled, registrants will be notified and provided with a full refund. MoMath does not provide make-up classes for absences. Each Expansions series accepts a limited enrollment in order to provide individualized attention to each student. While many reasons may cause a student to miss a class, a registered student holds a reserved seat while others may be turned away due to limited capacity. Additionally, the Museum provides staffing, materials, and other resources based on registration. For these reasons, the Museum has a strict no-refund and no make-up policy. Adult chaperones are required to wait outside the classroom during classes. In the event that a class is scheduled to end after 5 pm, adults must wait in Additions, the shop at MoMath, and students will be brought to Additions for dismissal. All Expansions participants are expected to exhibit good behavior to ensure a positive experience for all participants. At its sole discretion, MoMath may remove a student from the Expansions program for behavioral reasons. If a student is removed for behavioral reasons, for either the day or the remainder of the program, no refund will be provided.